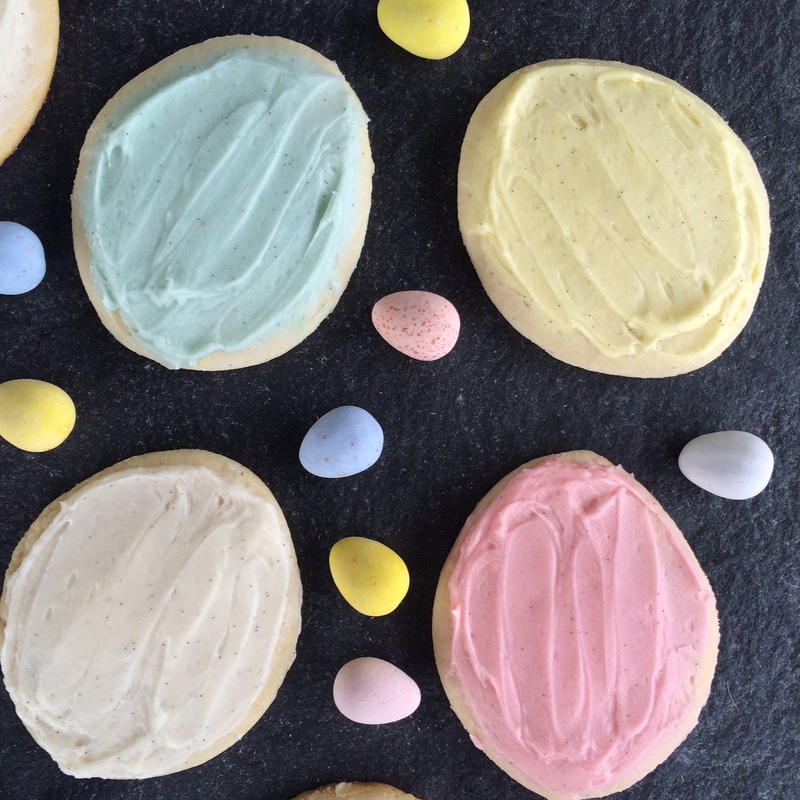 My April Sugar Cookie of the month was a tough call. Between Bunnies, Carrots, and pretty Easter Eggs, I had a lot of options on what to make! Then, dangerously close to Easter, I realized I hadn’t yet purchased my FAVORITE Easter Candy in the entire World – Cadbury Mini Eggs. Then I thought…why not pay homage to my favorite Easter treat this year? On a clean, floured surface, roll out the dough with a rolling pin. Roll the dough so it’s about 1/4 – 1/2 inch thick, and use your favorite cookie cutters to cut out shapes of the dough. 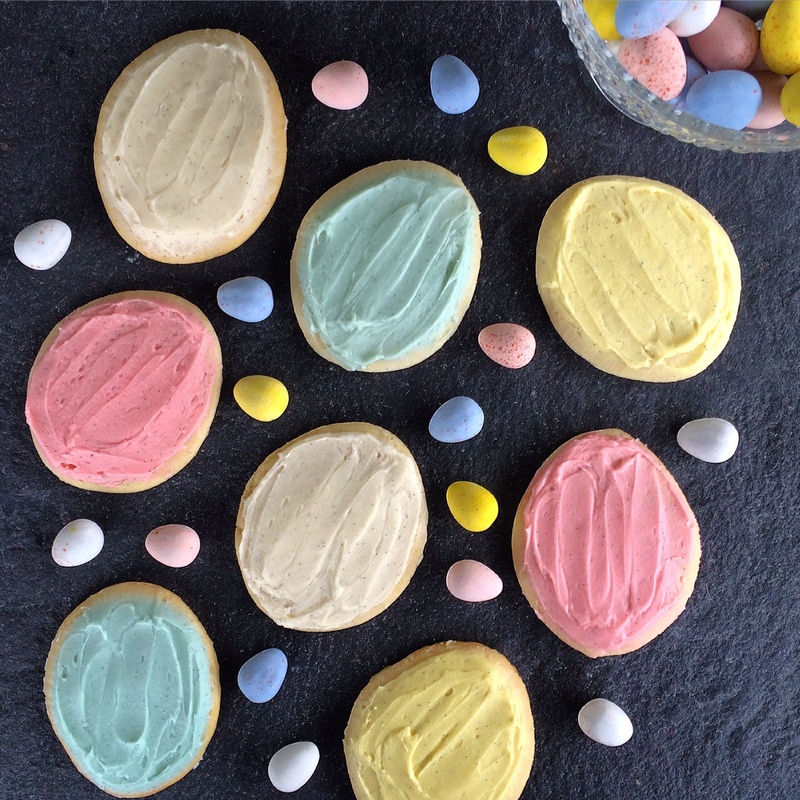 For these cookies, I used an egg-shaped cookie cutter. Use a cookie spatula (better known as a pancake flipper) to move your cookies from the floured surface to a well greased baking sheet. Ungreased silicone baking sheet liners work great here too. Combine butter, salt, vanilla, vanilla bean, and 1 cup of the powdered sugar. Add milk and remaining sugar, alternately. Mix until smooth & creamy. Divide frosting evenly into 4 bowls. Add a tiny drop of blue food coloring to one bowl, a tiny drop of red to one bowl, a tiny drop of yellow to another bowl, and leave the last bowl white, without coloring. 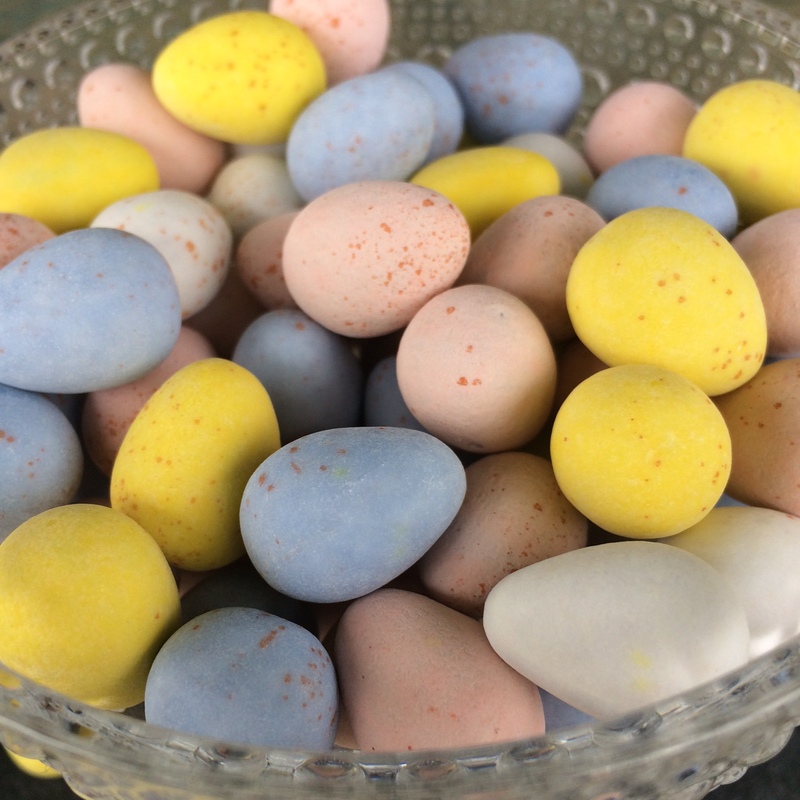 Mix each bowl with a clean fork until combined and to desired Cadbury Mini Egg Colors. 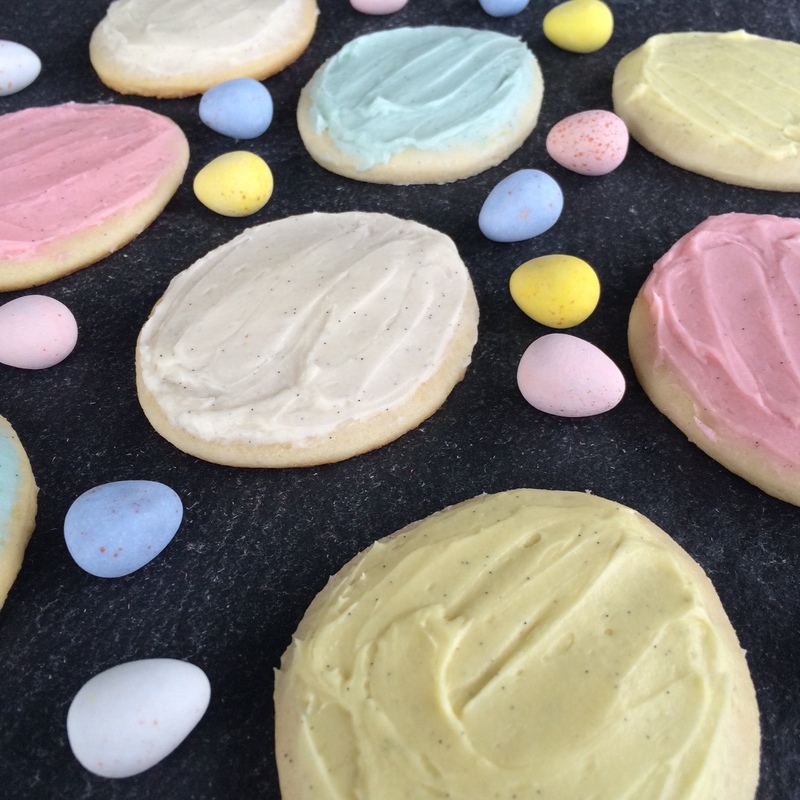 Mini Eggs aren’t very dark, so you do not need much food coloring. Frost the cooled cookies. Cookies keep well in the fridge for a up to a week, a few days at room temperature. Enjoy!